15fashionday has no other items for sale. Nice packaging. Thanks a lot. It is perfect for saving the planet, but I only got 3 straw cleaners. This is is not scheduled to be delivered until October23rd. No option to cancel. Finally an inexpensive way for all of us to stop plastic pollution and start saving our world!!!!! 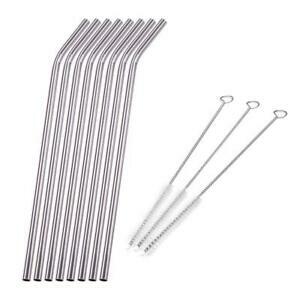 The straws are well-made of stainless steel, are easy to use and clean, are reusable for years and are very inexpensive!!! Best of all using them will cut down on the amount of plastic pollution we are so blase about spreading all over roadsides, in brooks, streams, rivers and oceans!!! They are also very dangerous for all animals and wildlife alike and so using these straws is the absolute least we can to save our beautiful world!!!!! For me to have these for my tall glass which we keep next to my bed, I have water next to me everyday. They also come with a cleaner, to clean down all the straw”then we wash them in the dishwasher, I recommend these straws to anyone. A great,useful product easy to have on hand. I bought 2 sets and shared them with family members. They were all delighted. 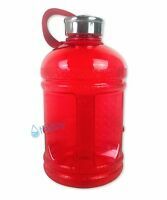 Great Product, & Environmentally FRIENDLY, Children love them.